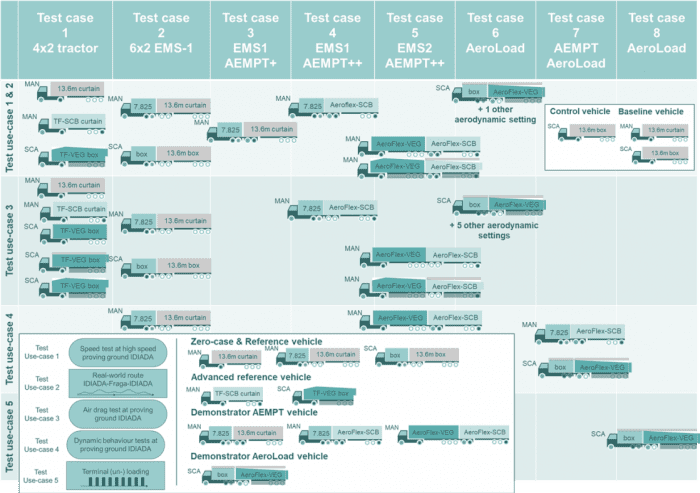 Within the Aeroflex project a test matrix is created to cover the maximum number of vehicle configurations and necessary specific tests. This to define and determine the improvement in energy efficiency for the different aerodynamic, distributed powertrain and effective loading space utilization solutions. 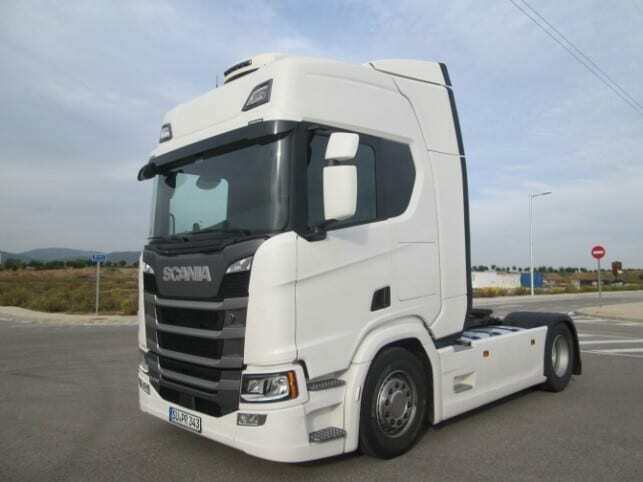 A measurement protocol that guarantees the repeatability of the results obtained and allows these results to be compared with the maximum number of vehicle configurations has been created. Test matrix is based on 8 test cases and 5 test use-cases. On October 15th 2018 the initial test vehicles arrived at IDIADA facilities for testing and meanwhile testing has started. 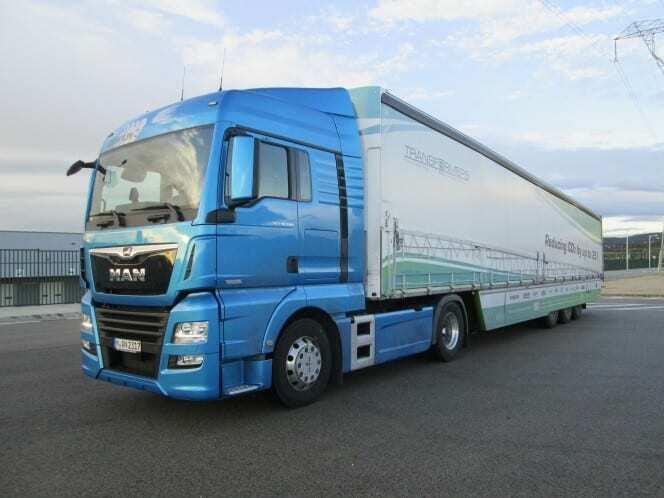 Below the advanced reference MAN 4×2 and Transformers Schmitz Cargobull semitrailer and the control vehicle Scania R450.